RAFT members pay only $400 per person! Continental Breakfast and lunch included each day! Completion of the 50-hour online training portion is mandatory prior to taking this 3-day class. Students who register for the course but fail to complete the online portion will not have the course registration fee refunded. In order to facilitate a positive learning environment classes are limited to 8 students. For more information on the mandatory 50-Hour online course, please go to www.bshifter.com. 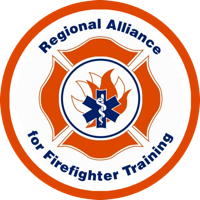 Click HERE for more information on RAFT Blue Card Certification.